From his base at Amara, on the Tigris River, General Townshend planned an advance on Baghdad by way of Kut-al-Amara. The small British Army, numbering 12,000, suffered greatly from the scorching heat and from lack of water. The motley fleet of vessels, bearing the army, moved up the Tigris early in September. On the way to Kut-al-Amara, the alliance of the Beni Lam Arabs, a powerful tribe, was secured. 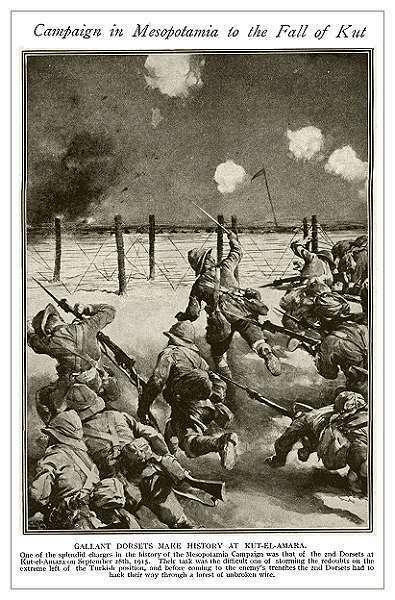 The British Army came within sight of Kut-al-Amara on September 23, 1915. Here the army of 20,000 Turks, under command of Nuredin Pasha, were strongly entrenched, on both sides of the Tigris. For six miles in either direction, the Turks had established a line of trenches, protected by large areas of barbed wire entanglements and supported by heavy artillery. The banks of the river at this point were 20 feet high. A strong redoubt on the right forbade any flank movement in that direction. On the left bank, the line of defense was separated by two miles of marsh land. The river, too, was blocked by lines of sunken boats, while across the river was stretched a heavy wire cable. A column of Britishers, under General Frye, wormed its way by three days' effort to within 400 yards of the barbed wire entanglements which enveloped the Horseshoe Marsh. Day and night during the advance, which ended September 28, 1915, they were subjected to continual shell fire, but lost only 90 men. Meanwhile, a second British column under General Delamain, crossing the Tigris, had reached an attacking position on a neck of land between two marshes, where the Turks were intrenched on September 28, 1915. Here the British concentrated their field guns. 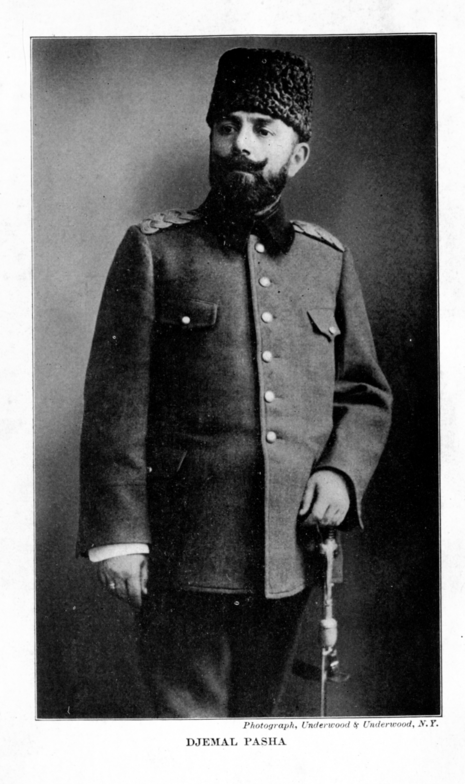 General Delamain's column, in two divisions, started an enveloping movement around Nuredin Pasha's army, whose northern flank was exposed. One of these divisions, under General Houghton, worked its way in rear of the Turks. General Townshend then gave orders for a general battle. For three days the battle raged, but at the precise moment when the British ring was about to close on the Turks around the marshes, another Turkish division appeared in rear of the British, also attempting a flanking movement. Turning savagely on the new enemy, the British quickly put them to flight. That night, under cover of darkness, the Turkish Army evacuated Kut-al-Amara, rapidly retreating to Azizi, 40 miles away. From this base the German and Turkish engineers began to prepare near Baghdad a most elaborate system of trenches and fortifications. The engineers also extended the Baghdad railway line, enabling Nuredin Pasha to transport an army of reinforcement out of Syria.